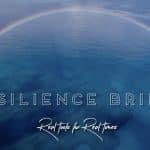 Carolyn, Andrew Harvey, and Dean Walker discuss the upcoming Resilience Bridge pilot courses and Andrew and Carolyn share their experience of creating and finalizing their forthcoming book. What does resilience really mean? Is it possible to develop this skill in the midst of the current planetary madness? If so, how?